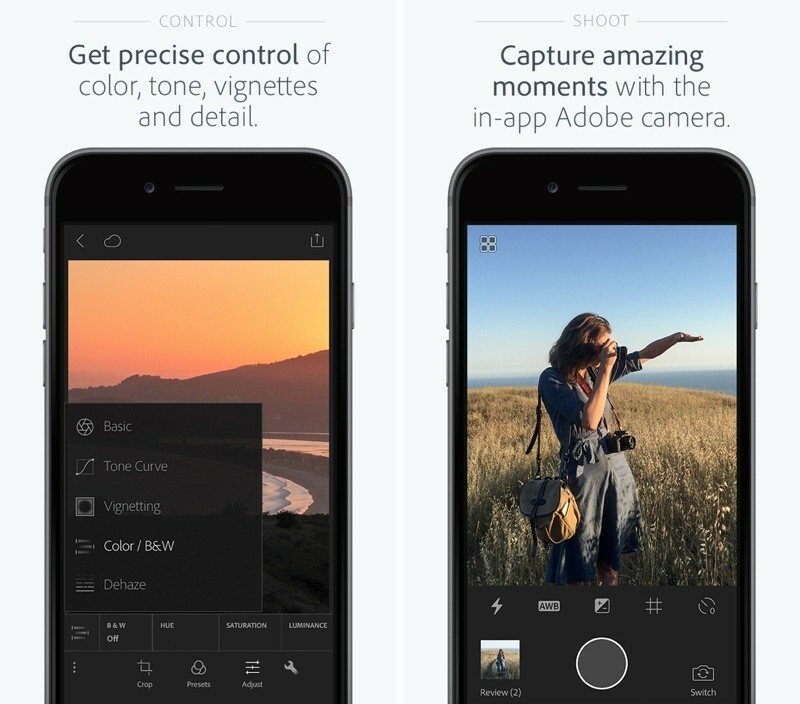 Adobe updated its lineup of mobile apps earlier this week, and among those updates was a new version of Lightroom, the company's iOS-based photo editing app. As part of the recent update to Lightroom, Adobe quietly made the app available to all users, removing the need for a subscription to Creative Cloud. Prior to this week, the free Lightroom app was dependent on the desktop version of Lightroom and it required users to have one of Adobe's Creative Cloud subscription plans. Signing up first on Lightroom used to activate a trial Creative Cloud account, giving iOS users only a limited amount of time to use the app. Now restriction free, Lightroom can be downloaded by all iOS users at no cost and used to manage and edit photos on iOS indefinitely. The Next Web was the first to highlight the change to Lightroom, and the site spoke to Adobe's director of product management for digital imaging Tom Hogarty who said Lightroom has been a popular choice for mobile users. Adobe is likely hoping the change will draw potential subscribers to Adobe's other apps. We're seeing alot of people come in first on Lightroom mobile, so now we're allowing people to use it locally on their local assets, their local photos and videos on their phone and tablet for as long as they like. More and more people are adopting the phone as their primary camera, taking the DSLR out less and less, and we're seeing the same thing with the use of Lightroom. Some users are creative pros who are aiming for efficiency, but many others are just consumers who love photography. Lightroom for mobile devices has many of the same capabilities that are available for the desktop and it's a powerful editing tool on iOS devices. It includes one-touch improvement tools and more advanced adjustments for fixing problems like insufficient lighting or unwanted objects. The recent update to the app adds a new haze removal feature that's useful for removing haze in landscaping photos, and it includes a targeted adjustment to that allows colors in a specific area to be tuned. It also offers an in-app Adobe camera, integration with Photoshop Fix, and better organizational tools.